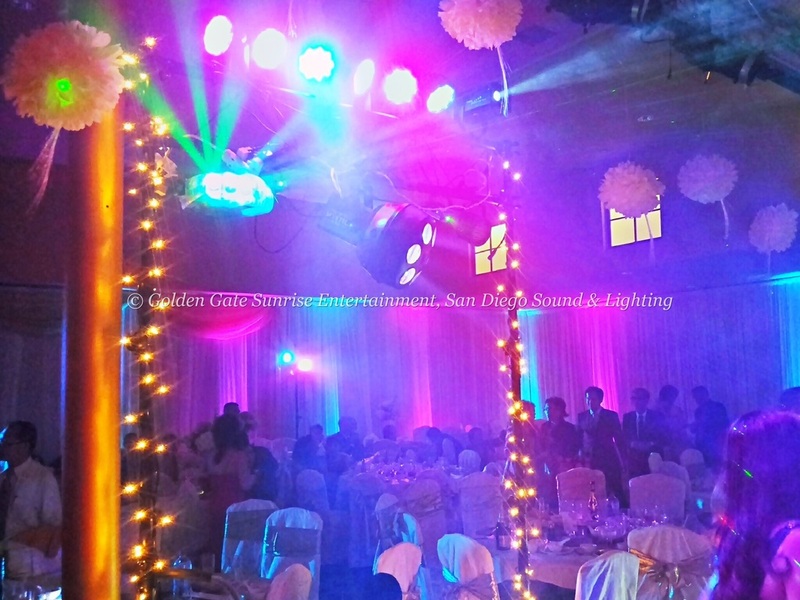 San Diego Sound & Lighting offers very affordable event sound system rentals, wedding videography and lighting decor services in Temecula, Fallbrook, Riverside, San Bernardino, Los Angeles, Orange County, San Diego and the surrounding areas. Whether you're having a wedding, a prom, a corporate celebration or a birthday party, San Diego Sound & Lighting has enough experience to make the AV part of your event successful. All sound, lighting and video packages listed on this website include setup, tear down, labor and tax. The only fee that applies to all orders outside San Diego is the travel fee of $0.25/mile from our office (92110) to your event venue. 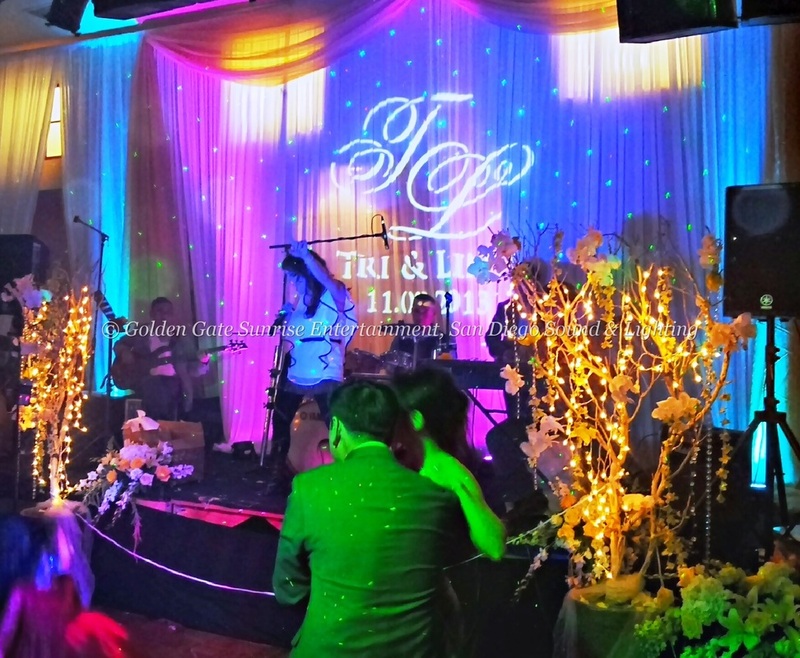 Our event lighting decor services include LED up lighting, dance floor lights, LED DJ lights, stage lighting, gobo projectors with custom monograms, table under lighting, pinspot lighting, DJ lasers and color wash/flood effects. You may click here to watch our lighting demo video that walks you through all available lighting decor options and pricing. You can also check out our lighting packages here. If you need to rent a PA system for your wedding, corporate event or a birthday party, our most popular single sound system rental package is only $300. It includes two speakers with stands, a sound mixer, one wired mixrophone and a 3.5mm. audio cable for your laptop or an ipod. You also have the option of adding a subwoofer for $150, a large sound mixer for $150, more speakers at $100/each and extra microphones at $25/each. Click here for more information. Our wedding videography packages start at $600 for up to four hours of raw footage and go up to $800 for four hours of raw footage, an edited trailer and a movie. You may click on the "play" button below to watch some of our wedding video demos or click here to read detailed descriptions and pricing on available packages. Not sure what to do next? Fill out this form to ask your questions and check if we are available on your date.